The Walter Camp Football Foundation has announced the Football Bowl Subdivision National Offensive and Defensive Players of the Week, presented by Generation UCAN, for games ending October 17. About the Award: This is the 12th year that the Walter Camp Football Foundation will honor one offensive and one defensive player as its national Football Bowl Subdivision player of the week during the regular season. Recipients are selected by a panel of national media members and administered by the Foundation. 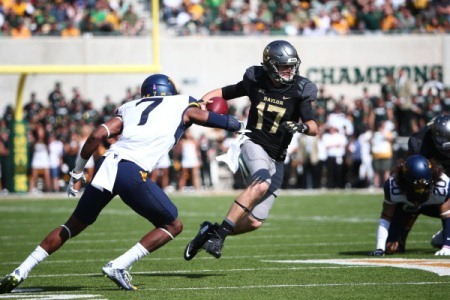 Seth Russell accounted for 540 yards (380 passing, 160 rushing) and six touchdowns as second-ranked Baylor (6-0, 3-0 in Big 12) defeated West Virginia, 62-38. Russell completed 20-of-33 passes and threw five scoring passes, while rushing for one more score in the victory. Notes: Seth Russell is the fourth Baylor player to earn Walter Camp National Player of the Week honors since 2004. He joins former Bears’ quarterbacks Robert Griffin III (Sept. 4 and Nov. 20, 2011) and Bryce Petty (Oct. 12, 2014) as honorees. 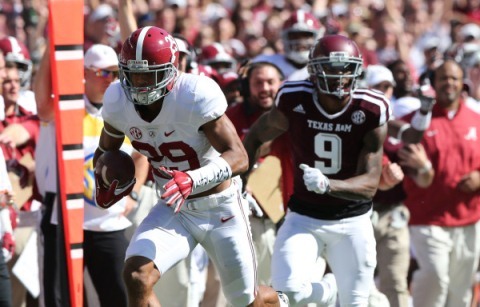 Minkah Fitzpatrick recorded two interceptions, both of which he returned for touchdowns as the 10th-ranked Crimson Tide defeated 9th-ranked Texas A&M, 41-23. Fitzpatrick added two tackles as Alabama improved to 6-1, 3-1 in the Southeastern Conferene. Notes: Minkah Fitzpatrick is the 10th Alabama player to earn Walter Camp National Player of the Week honors since 2004, and the sixth defensive honoree (first since Dee Milliner, Sept. 2, 2012).